Deuce Lost His First Tooth! Our oldest son, Deuce, lost his first baby tooth today. He was hysterical for a bit. Since Deuce is our first child, all of his “firsts” are firsts for Dorian and I too. 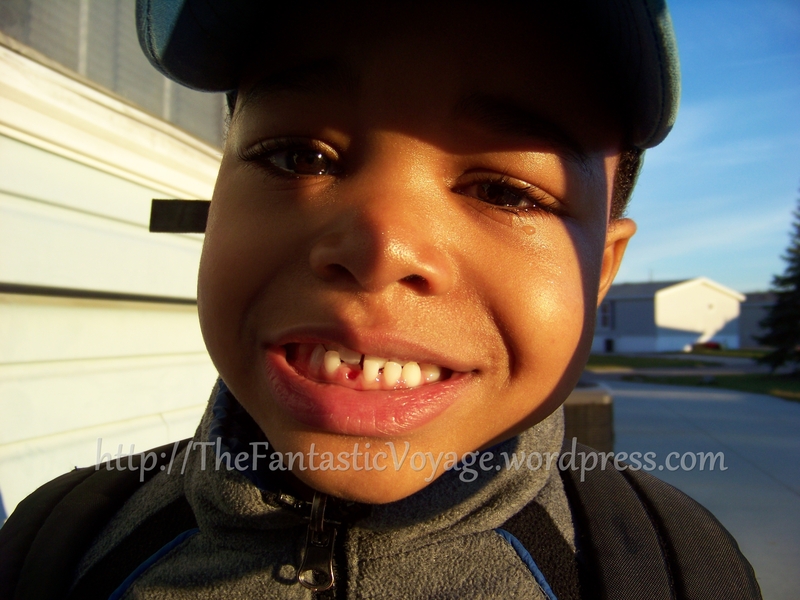 I remember losing teeth as a child, but I can’t remember losing my first tooth. I want to make this milestone special for Deuce, but I’m drawing a blank about what to do. I popped over to Pinterest and did a quick search for ideas. I want to do something unique, special and artsy, especially if it involves Deuce’s participation. I found approximately 44,000,962 pins (slight exaggeration). Have you had a child lose a tooth? What did you do to celebrate the event? Let me know, leave a comment below!